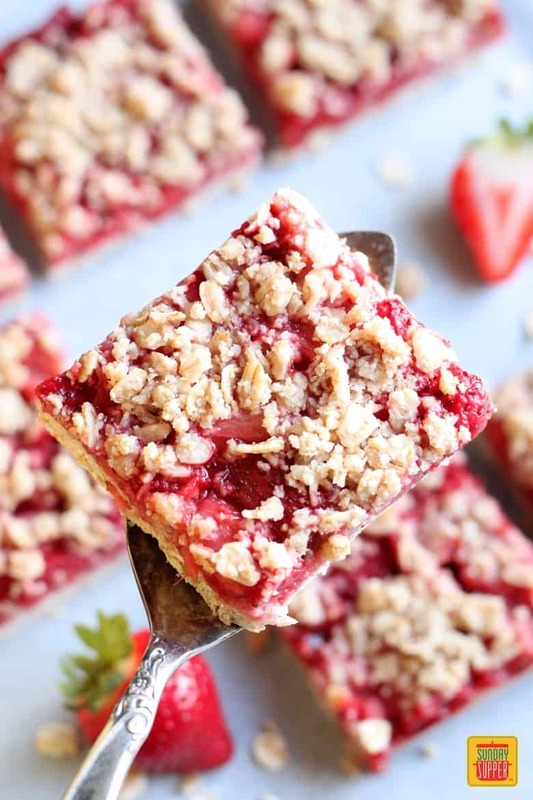 These Healthy Strawberry Oatmeal Bars are so easy to make and absolutely delicious. Fresh strawberries and rolled oats make for a quick and healthy on-the-go breakfast to get your day started on the right note. 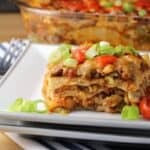 Add these to your list of favorite Healthy Family Recipes! Breakfast is the most important meal of the day, but for some of us it can also be the biggest struggle. I know for me it’s a constant struggle. I’m always rushing in the morning with a million things on my to do list like get the dogs breakfast, make my coffee, check my emails, check my conference call calendar, etc. By the time I’m ready to eat, it’s already lunch time. I need a solution stat, so healthy strawberry oatmeal bars to the rescue. 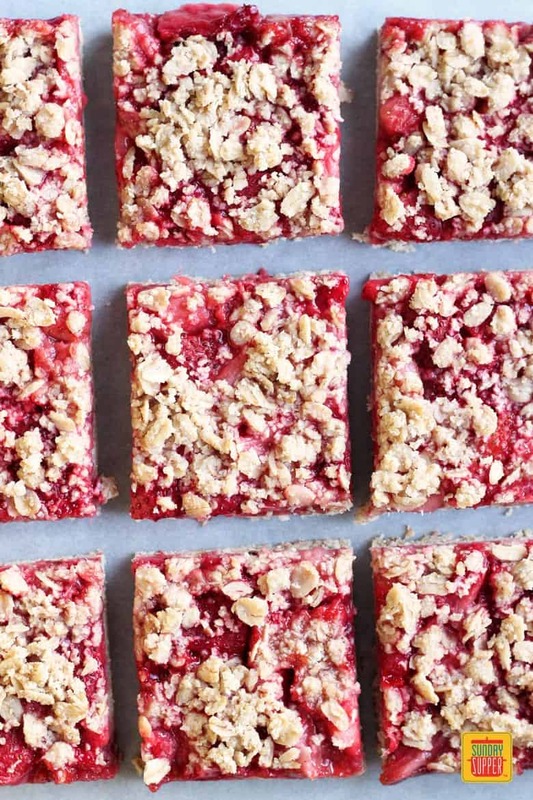 These healthy strawberry oatmeal bars are so easy to make. And they are extremely delicious. They are made with 100% oat, so it is safe for those avoiding gluten for any reason. They are also dairy free, no butter or milk of any kind here. 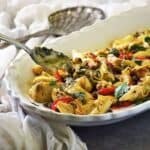 I used coconut oil, which gives a delicious scent while you’re mixing up the batter by the way. And they just have one egg white, used as binder for the bottom of the oatmeal bar. I added vanilla bean paste to the strawberry filling for some flavor depth, but if you don’t have any vanilla bean or vanilla bean paste, you can use vanilla extract in its place. I would have oatmeal once in a while, but standing in front of a stove to make my breakfast while half asleep is probably not a good idea. 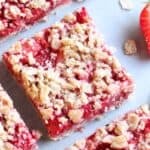 But I can just grab one of these healthy strawberry oatmeal bars from the fridge, warm it up in the microwave for just 20-30 seconds, and breakfast is ready. They’re just perfect with a hot cup of coffee while I’m checking email at the computer. 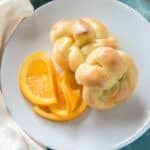 And of course, they can double as a great afternoon snack with tea as well. 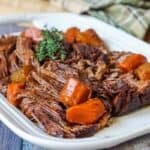 This recipe can be easily doubled and baked in a 9”x13” baking pan if you want to make a bigger batch for the whole family to share throughout the week. They will store well in an airtight container in the fridge. 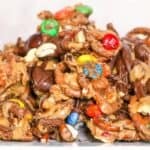 You can wrap them individually in plastic wrap so they are ready for you to grab and go in the morning. You have no reason now to neglect breakfast. 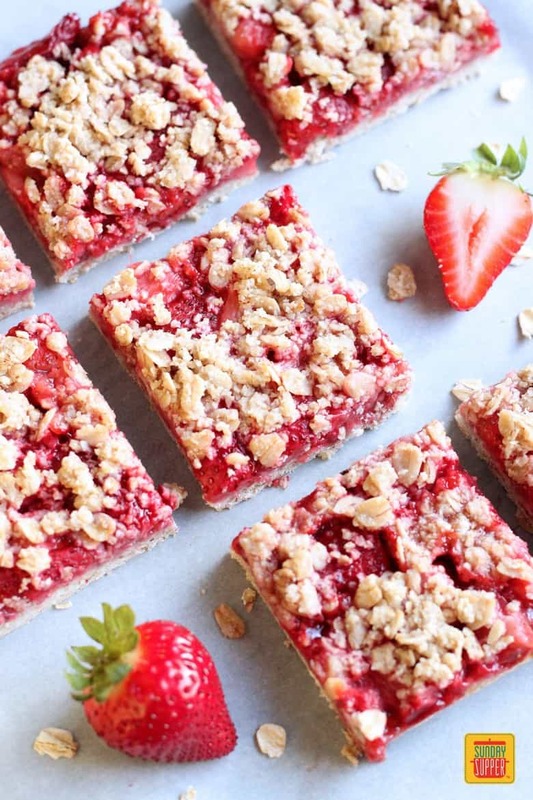 So let’s get your day started right with these healthy strawberry oat meal bars! 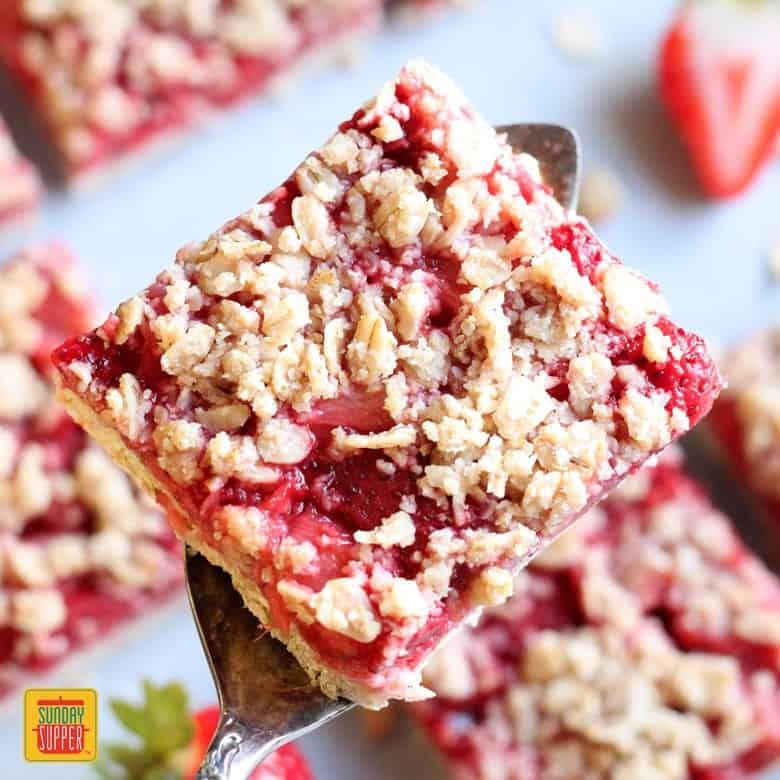 These Healthy Strawberry Oatmeal Bars are so easy to make and are absolutely delicious. Fresh strawberries and rolled oats make for a quick and healthy on-the-go breakfast to get your day started on the right note. Wash the strawberries and dry thoroughly. Hull and quarter the strawberries. Then place them in a small bowl with the sugar, salt, vanilla bean paste and cornstarch. Mix thoroughly and set aside. 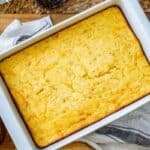 Line an 8”x8” square baking pan with two pieces of parchment paper in a cross pattern with the excess hanging over the side of the pan and set aside. Measure out 8 ounces of rolled oat by weight and set 1 cup aside. Put the rest in a food processor and pulse until you get a medium ground. Add whole rolled oat, oat flour, sugar, and salt in a medium bowl and mix until evenly distributed. 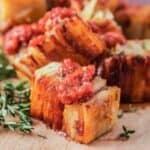 Drizzle in the coconut oil and mix until thoroughly incorporated and everything is equally moist. Measure out 1/2 cup of the oat mixture and set aside to use as crumble topping. Add 1 egg white to the rest of the oat mixture and combine until everything sticks together and forms a ball. Dump the oat mixture into the prepared baking pan and spread it to cover the entire pan evenly. Add the strawberry mixture and all its juice on top. Sprinkle the oat mixture without egg set aside earlier evenly over the strawberry mixture. 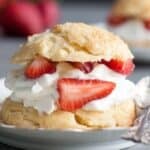 Bake for 35 minutes until the strawberry is bubbly and the crumbly topping is lightly brown. 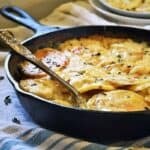 Let cool on a wire rack completely before removing from the pan and dividing into individual serving. They are so good, Natalie! 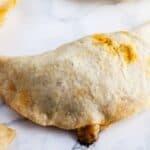 I made them yesterday and we are really enjoying them!